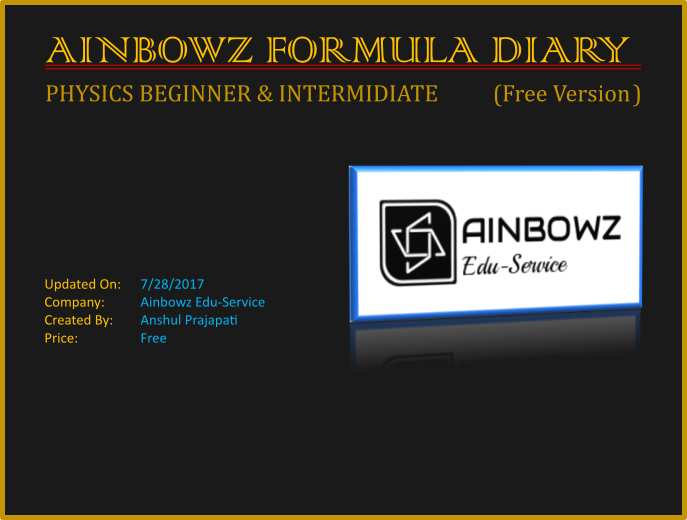 This is a free version of Formula Diary-Physics, but its unique as it contains formula which are rare to be found on any other formula diary. The Diary also depicts pictures for those formula which are complex. The Diary display has been so set, that it is easier to read. The formulas are highlighted by their increased font size and colour. There is also a paid version which includes 13 chapters and more formulas on the chapters in free version. If you do like it, you should surely check the paid version.